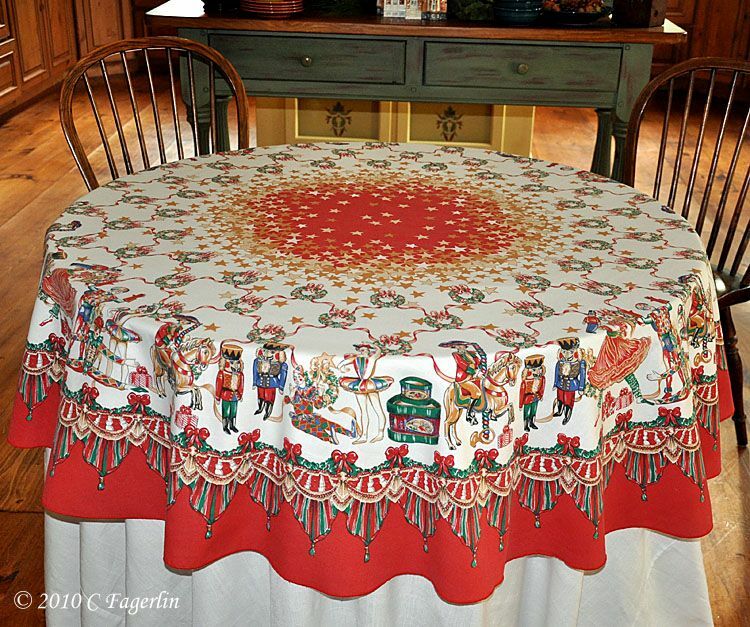 The Little Round Table: Tablecloth Giveaway - We Have A Winner! I came just from Donnas Blog. I think she will be very delighted that she won the wonderful tablecloth. What a nice surprise for her. Congratulation. I am sure she will make wonderful tablescapes with it. Congrats to Donna for winning that lovely giveaway. CONGRATS!! A GORGEOUS tablecloth...BE-you-ti-ful...very jealous! "OH MY GOODNESS"... "I'm CRYING here"!!! I LOVED this tablecloth the MINUTE I saw it and couldn't believe you were going to GIFT it to someone!!! You are TOO SWEET and I "Thank you SO Much"!!! So sorry I can't gather EVERYONE here to have a Christmas Luncheon on it!!! Hmmmm, I'll definitely do a POST and you are ALL Invited!!! "HUGS FOR EVERYONE"!!! Congrats Donna! You lucky, lucky girl! I just checked out your tablescape! It is just gorgeous and I'll be popping back over to comment momentarily! I'm so pleased you love it!